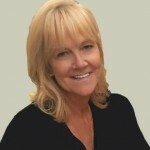 Terri O’Connor has been in the field of addiction treatment for over 25 years, beginning in 1990 when she worked with inner-city youth while pursuing her degree and certification in Addictions Counseling. She held various roles such as Intake Manager and Court Advocacy in the non-profit sector, and was also instrumental in developing substance abuse programs within Chicago’s juvenile detention system. Terri eventually found her passion for outreach while providing hope and healing to those individuals and families continuing to suffer from alcoholism, drug addiction, mood disorders and eating disorders. 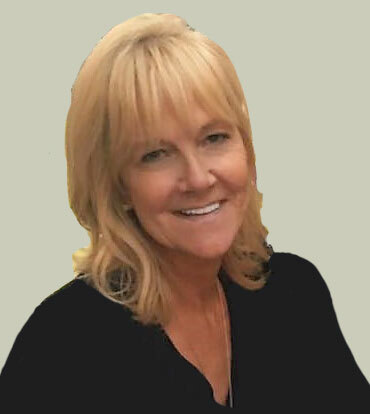 Terri has represented several world class treatment centers as Senior Director of Clinical Outreach, Marketing Director and has developed expertise in event planning and fundraising. I have been in the field of behavioral health for over 25 years and in that time, I have had the opportunity to work with and represent several world-renowned treatment centers. I fell in love with Origins team and the programs. Not only are the clinicians skilled and gifted, but they are equally authentic and passionate. Before joining the team, I had the opportunity to spend time visiting Origins’ programs. Within Origins, there is a sincere commitment to do the right thing for the right reason with the utmost respect for clients, families, referring professionals and each other. I am proud to be part of the team and look forward to contributing to the mission. If there were only one thing you could tell us about working within your specialty area, what would it be? I feel so blessed to be able to do the work I love with people I respect. In the role of Professional Outreach, I have the opportunity to be of service to clients and their families, as well as the professionals who entrust us with their clients and the clinical teams. We get to be creative and many times follow the clients from their point of absolute despair, through to discharge planning for their return home after treatment. As a professional, I can bear witness to the transformation that treatment can provide. It’s an amazing feeling! Treatment works! I continue to be inspired by how many dedicated and passionate professionals we have in this field. The greatest gift we can give is hope and there are so many who need it. I have had so many wonderful teachers who have been willing to guide and support me – and sometimes carry me. I am inspired to pass that gift on to others professionally and personally, by attraction rather than promotion. I have learned (sometimes painfully) to always remain a student and put my own recovery first. Somehow everything seems to work out when I abide by this lesson, just like I’ve always heard. My degree is in Women’s Studies and I have been a Certified Addictions Specialist in the state of Illinois since 1991. I love yoga and practice daily. I am a big Blues fan (Chicago, right?) and love concerts and plays. I live by the Chicago lakefront and love bike riding. I am also very close with my family and love spending time with them whenever possible. I travel too much to have any pets, but I’m experimenting with a few plants.